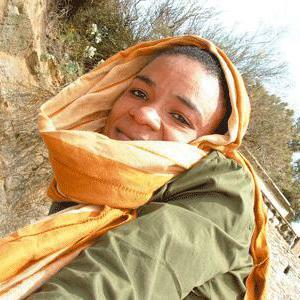 Born in Bamako, Mali, and raised in the Bambara tradition of oral history and music, Mamani Keita started singing at a young age with her maternal grandmother. During the 1970s, Mamani was an active participant in Bamako's cultural scene with the Oulofobougou theatre company and the Bamako Biennale, among other things. In the early 80s she joined the Bamako Orchestra, then the Badema, the National Malian Orchestra. In the 90s, Mamani Ke?ta went to France, where gained a reputation, along with Salif Ke?ta, singing chorus on albums with musicians such as Hank Jones, Cheikh Tidiane Seck, and Super Rail Band de Bamako. She was then invited to join Sam Mills, Djanuno Dabo, and Tom Diakit? 's band, Tama. In London, they recorded an album, "Espace", released in 2002 on Realworld, in Peter Gabriel's studio. Around this same time, Mamani received public recognition and praise as half of an electro-world duo with Marc Minelli. Their album, "Electro Bamako" was released on Universal in 2001. Strengthened by this new musical experience, Mamani recorded a solo album, "Yelema", released in 2006 with No Format.